We thank you very much Mr. Minister for your comprehensive presentation of the Chairmanship’s priorities, and you can fully count on our support. We also wish to thank the outgoing Chairmanship for their excellent work during a difficult year for the OSCE in 2014, and we look forward to close co-operation with our Swiss friends in the Asian Contact Group this year. I would like to join previous speakers in expressing my delegations’ heartfelt condolences to our French colleagues and to the people of France for their losses, through a barbaric terrorist attack which occurred last week, one which we strongly condem. President Ashraf Ghani stated that: “the Killing of defenseless people and civilians is a heinous act of terrorism and there is no justification for this brutal act”. Let me recall the long-term commitment of the OSCE to further strengthen its engagement across the three dimensions of its work with Afghanistan, as requested by our Government and reflected in Ministerial Council Decisions No. 4/07 and 4/11. Afghanistan remains committed to the implementation of the programmes and projects, including in the area of border management and security, with our neighboring OSCE participating States. The Helsinki+40 process provides additional opportunities to strengthen our dialogue and we pledge our active partnership to the process. By the end of 2014 the ISAF and NATO military mission ended and now the ANSF are fully responsible for the security of Afghanistan. The Afghan people are grateful for the efforts, sacrifices and continued support of our partners in the International community. The newly formed National Unity Government has now presented its cabinet nominations to the parliament and once the parliament has approved the nominees, the government will lead a national commitment equal to this unparalleled moment of opportunity in our country, at the beginning of our Decade of Transformation (2015-2024). The National Unity Government will bring its full resources to realize our fundamental goals: peace, stability, prosperity, equal rights, education and justice, which are the fundamental elements of OSCE principles. Nonetheless, we will be continuously confronted with a number of challenges. Let me re-emphasize the necessity of effective assistance and continued support to Afghanistan in order to consolidate what has been accomplished to this date, and to secure further improvements. We are fully aware of the fact that the current crisis in the OSCE region implies certain constraints; however we are confident that the Chairmanship will maintain and increase OSCE’s activities in Afghanistan. In conclusion, Mr. Minister, the people of Afghanistan has a strong friendly feeling to your people which goes back to the days of our Diplomatic relations in 1954, and we wish you, your people and your able team here in Vienna the greatest success. chairmanships in the history of the OSCE. will remain high on the OSCE’s agenda. States in the framework of the Helsinki+40 process. you, Mr. Minister and the people of Serbia, continued success and prosperity. The promotion and protection of Human Rights is one of the main priorities for Afghanistan – a country whose citizens suffered more than enough, due to prolonged three decades of conflict, and they continue to be victims of terrorist attacks in the country. It is a great pleasure for my delegation to join previous distinguished speakers to warmly welcome the UN High Commissioner for Human Rights Ms. Navi Pillay to the Permanent Council, and we applaud you Madam High Commissioner for your great efforts over the past six years to promote and protect human rights around the globe. Your tireless commitment to raise awareness about modern-day challenges to human rights has been critical to the prevention of human rights violations, among them in post conflict countries including Afghanistan. We agree with you that the work of OHCHR and OSCE/ODIHR is complementary and that all of our societies can only be truly sustainably secure when they fully respect human dignity, ensure social justice, and enable the realization of fundamental freedoms and human rights. Afghanistan apprecites and supports your continued calls for equality, for a free press, for good governance and combating corruption, among many other critical factors in this area. As you know, Afghanistan – with the help of our international partners – has accomplished a lot over the past decade, including a much improved human rights record of its citizens, in particular the rights of women and children, although certain challenges are still ahead of us. Yet, let me mention Afghanistan’s constitution, the independent media as well as our vibrant civil society as clear indicators that Afghanistan is on the right track into our Decade of Transformation (2015-2024). 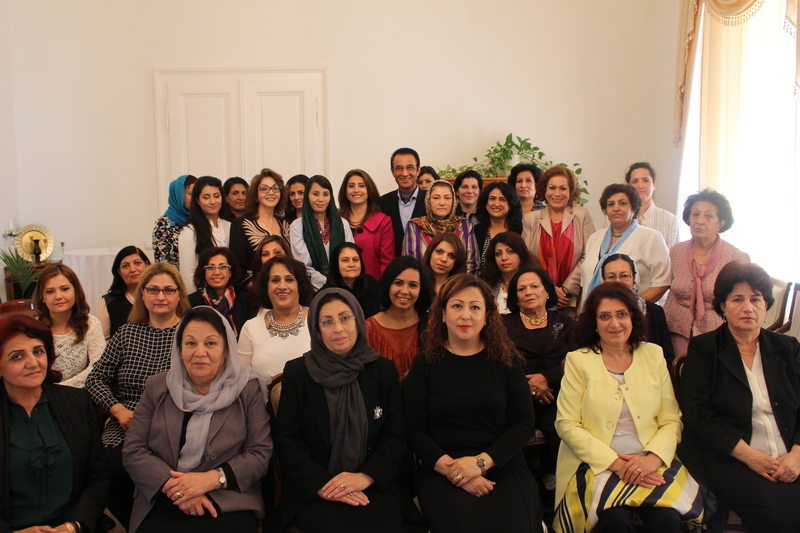 With full and equal participation of the women, youth and civil society of Afghanistan in all spheres of our society, we are confident about our future. Based on its achievement on the area of Human Rights and its commitments to the standards and mandate of the UN High Commission for Human Rights, Afghanistan also introduced its candidate for the post of High Commissioner of this body. In closing, I would like to reiterate Afghanistan’s commitments to the universal values of human rights and wish you, Madam High Commissioner Navi Pillay, all the best and every success in your future endeavors. I would like to join the previous speakers to warmly welcome Ambassador Natalia Zarudna, Head of OSCE Centre in Astana back to the Permanent Council and thank her for the informative annual report. We highly value the OSCE’s efforts in Kazakhstan, and believe that Ambassador Zarudna’s continued efforts will have long-lasting, positive effects for the region. Therefore, on behalf of Afghanistan, I would like to extend our gratitude to the Ambassador Zaradna and her team in Astana. We would like to applaud the OSCE’s efforts in Astana regarding the organization of training workshops on explosive hazards, which included experts from Afghanistan. Thanks to the training and technical support by our partners, including the OSCE, there is a clear downward trend in IED explosives in the country, however, still hundreds of civilians, and military personnel become victims each year to improvised explosive devices (IEDs). Any assistance from the OSCE to fight IEDs will be appreciated. We believe that the OSCE has the capacity to do more in assisting Afghanistanto tackle the remaining issues and challenges and further contribute to stabilityand sustainable development in the country. I was delighted Mr. Chairman, to hear about the successful round of the Annual Central Asian Youth Network Seminar in Astana. Central Asia is so deeply connected, not only geographically but also economically and culturally, that a seminar for our future leaders discussing transnational threats and organized crimes, also related to Afghanistan, is highly important to the future of this region. On this note I would also like to commend Ambassador Zarudna about the OSCE’s involvement to promote synergy in environmental activities with regional implications. I would like to reiterate that the involvement of the next generation of leaders, including Afghanistan where 75% of its population is under the age of 25, is essential to the stability and advancement of the region, and thus we thank the Centre for organizing the nine-day training seminar for the Central Asian Leadership Program. 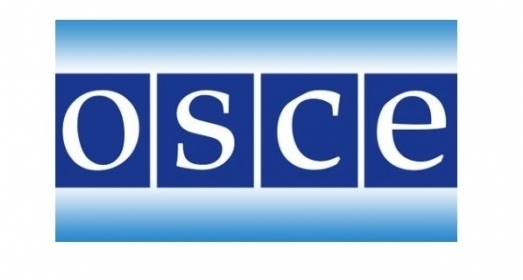 Therefore we thank the OSCE Office in Astana and the FSC Support Section for assisting us in these matters. Afghanistan considers Kazakhstan to be one of its closest partners in the region and enjoys an excellent relationship with Kazakhstan. In recent years, the friendship between Afghanistan and Kazakhstan has only grown deeper in being an ally and supporter in the ongoing stabilization and democratization process in the country. Presently over 2,000 Afghan citizens are residing in Kazakhstan and 600 of our brightest students are studying in higher education institutes in Kazakhstan. The numerous meetings between the Presidents of two countries;the exchange of high level delegations between Astana and Kabul; the establishment and expansion of the Joint Commission on Economic and Trade Co-operation, which has led us to sign an agreement encouraging and supporting investments between our countries, are examples of our expanding friendly and familiar relationship. Kazakhstan, as good friend, has supported Afghanistanthrough a number of bilateral and regional mechanismsand has actively joined our partners in the International community to assist Afghanistan, in the development and stabilizationprocess since 2001. The people of Afghanistan are grateful to the people and Government of Kazakhstan, as they continue to support Afghanistan in a wide range of areas, including education, commerce, industry, regional infrastructure, development, disaster management and fighting illicit drugs. Kazakhstan has supported Afghanistan in its continued regional integration and confidence building efforts, in particular the Istanbul Process (Heart of Asia). At this point, I would also like to highlight the support we have received from Kazakhstan in our bid to join the Shanghai Cooperation Organization. We feel extremely happy to witness the further growth, progress and developments in Kazakhstan in all dimensions and wish for the continued prosperity and success of our friendly country of Kazakhstan. In conclusion, let me thank you Ambassador Zarudna personally for all the good work you have accomplished and wish you and your team continued success in Astana.